Till Brönner is Germany’s leading jazz trumpeter. While he is known for his outstanding virtuosity, he is also referred to as a ‘German Chet Baker’. 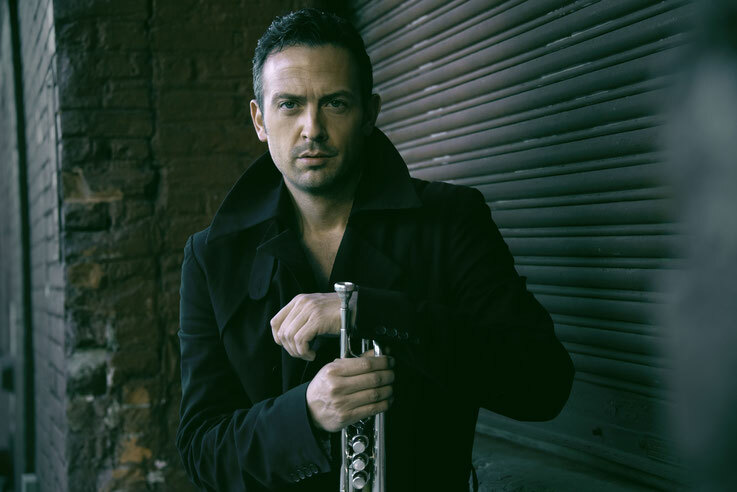 Brönner studied jazz trumpet at the College of Music, Cologne. Among his prominent teachers are Prof. Malte Burba and the American jazz trumpeter Bobby Shew. His first album, Generations of Jazz, with Ray Brown, Jeff Hamilton, Frank Chastenier and Grégoire Peters, was released in 1993. Immediately it won the ‘Preis der deutschen Schallplattenkritik’ (German Records Criticism Award). From then on he played with international greats such as Dave Brubeck, Tony Bennett, Mark Murphy, James Moody, Monty Alexander, Nils Landgren as well as Klaus Doldinger and Joe Sample. Brönner also composed and produced the album 17 Millimeter for Hildegard Knef in 1999, and he wrote soundtracks for documentaries like ‘Jazz Seen’ about the jazz and fashion photographer William Claxton or ‘Höllentour’ by Pepe Danquart. Further, he produced two highly praised albums of the American jazz singer Mark Murphy. This album also led to much international interest in his work. Among Brönner’s eighteen studio albums eleven are released on the legendary Universal-Label ‘Verve’. His CDs which are mostly recorded in Los Angeles have repeatedly reached gold status. His current album, The Good Life, was released on SONY in September 2016. In 2009 Brönner contributed all trumpet parts to the cult CD Touch Yello by the famous Suisse electronic music duo ‘Yello’. In the same year Brönner was appointed professor at the College of Music Carl Maria von Weber in Dresden. Together with Prof. Malte Burba he has been teaching jazz trumpet in Dresden since winter semester 2009/10. From 2010 to 2011, Brönner was a member of the jury and mentor in the casting show ‘X Factor’, televised on VOX and RTL. Overnight he became known to a much larger public. He was asked to look after ‘the over 25s category’ and won the competition twice. He left the programme in order to concentrate on his work as a fulltime jazz musician again. A dedicated musician, Brönner frequently goes on tour with his ensembles: a Duo with Dieter Ilg, a Septet, and, since 2015, the Till Brönner Orchestra, which includes over twenty musicians, as well as a project with the classical trumpeter Sergei Nakariakow. Brönner regularly plays on the world’s great stages, e.g., in Carnegie Hall, New York, in the Blue Note Jazz Club in Tokio and at prominent jazz festivals. In 2015 he was invited to the International Jazz Day in Paris, an initiative which originates with Herbie Hancock. In Paris he performed among the stars of contemporary jazz. A special honour was the International Jazz Day 2016 where he played for Barak Obama at the White House with Herbie Hancock, Sting, Aretha Franklin, Diana Krall, Al Jarreau, Hugh Masekela, Buddy Guy and Chick Corea, to name but a few. Photography has been another interest in Brönner’s life. Since 2010 he has focussed increasingly on portraits which he usually takes with a ‘Leica M’ camera. His illustrated book, Faces of Talent, was published by te Neues Verlag at the end of 2014. Since 2013, Till Brönner is a partner and testimonial with the German menswear company Eduard Dressler.